Custodian of the John M. Wing Foundation on the History of Printing at The Newberry Library, a scholar and author. Paul directed my attention to Giovambaptista Verini a Florentine writing master who has been denigrated by 20th scholars as being a hack. His books fall well within the range of writing manuals in the first third of the 16th century. Verini teaches a woman to write. La Vtilissima Opera @ The Newberry Library. 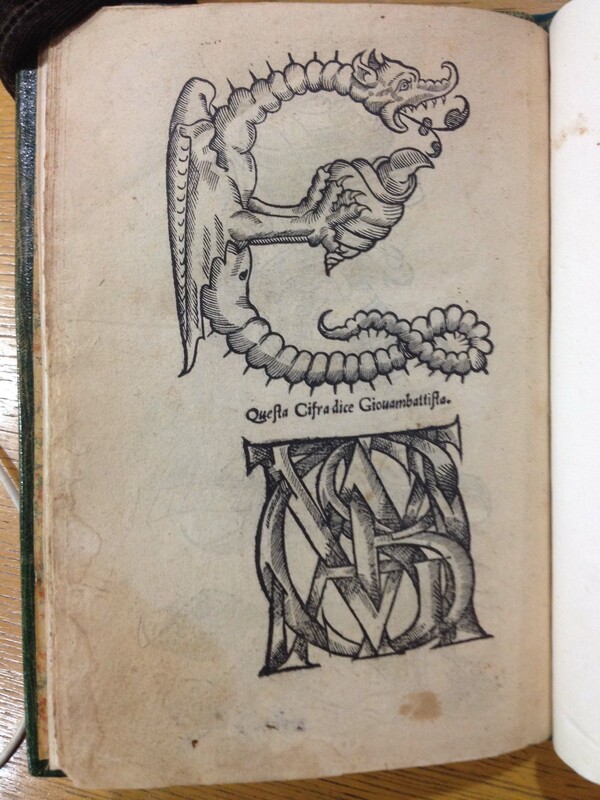 Writing manuals showed how to make letters for embroidery, heraldry and musical manuscripts. Verini wrote about how to make “Maiuschule Moderne” a gothic letterform used for liturgical music books that were still being written by hand 60 years after the advent of printing. These manuscripts continued to be written with gothic letterforms into the 19th century. 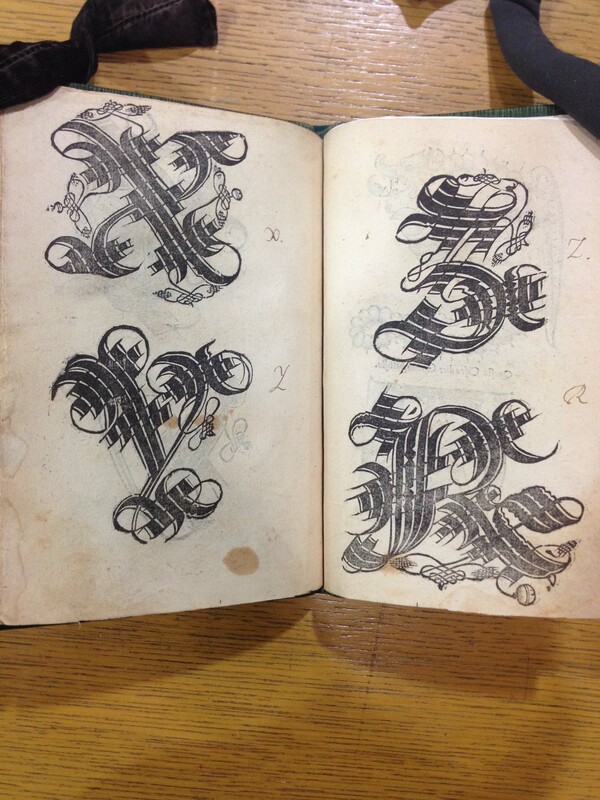 Verini showed how to construct these knotwork initial letterforms. 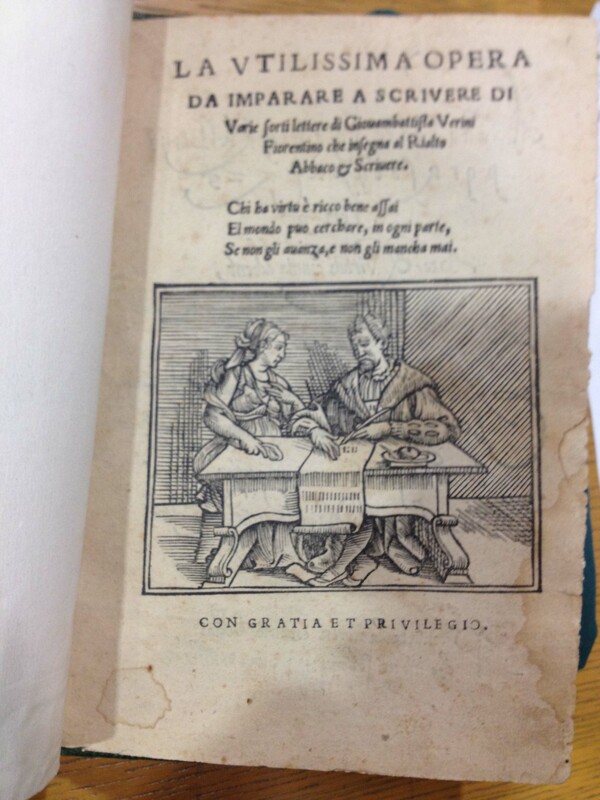 In Writing Relations American Scholars in Italian Archives, Paul wrote about Verini’s woodblock illustrations and instructions on this non-book form of lettering. 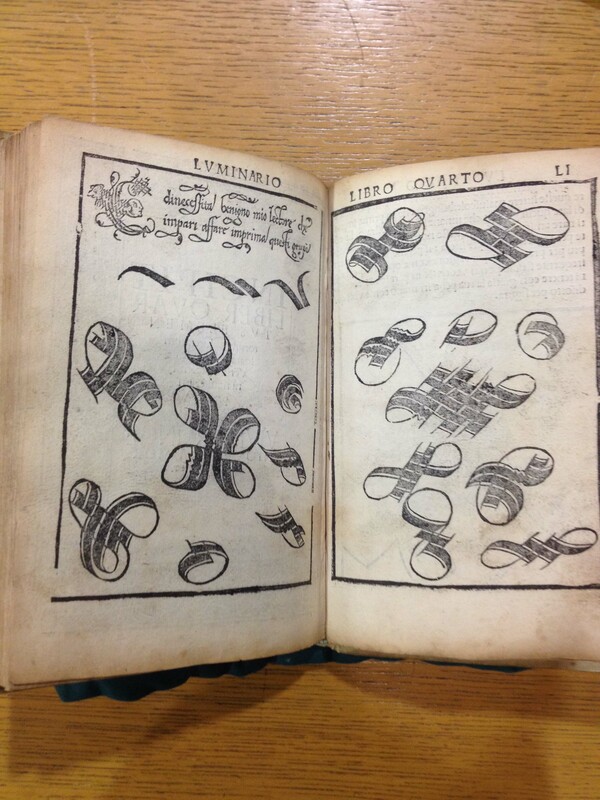 The ‘Maiuschule Moderne’ of Giovambaptista Verini Fiorentino: From Music Texts to Calligraphic Musicality helped me understand and appreciate the larger role of writing manuals in popular instruction. 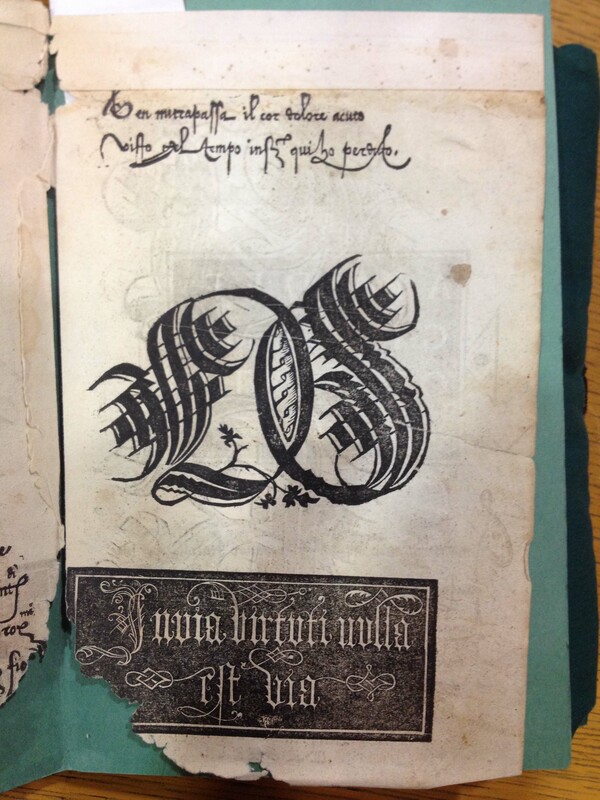 The Newberry’s collection has unique Verini material as well as duplicate copies of some items. Not all books survive intact or unharmed, but they can still be useful in a damaged state. Writing manuals had to show more than current Chancery or mercantile hands because their audience was engaged in making letters for a variety of uses. Learning about one aspect of those scribal clients aids in understanding the larger picture of how writing manuals become an integral part of instruction and recording artistic and cultural influences in the early modern period. And the letters are pretty cool as well.